I feel like last time I did a post on Haroshi and his collaboration on some sunglasses, I didn't do a just job of giving props to his artwork. Take a step back - pretty dope work right? 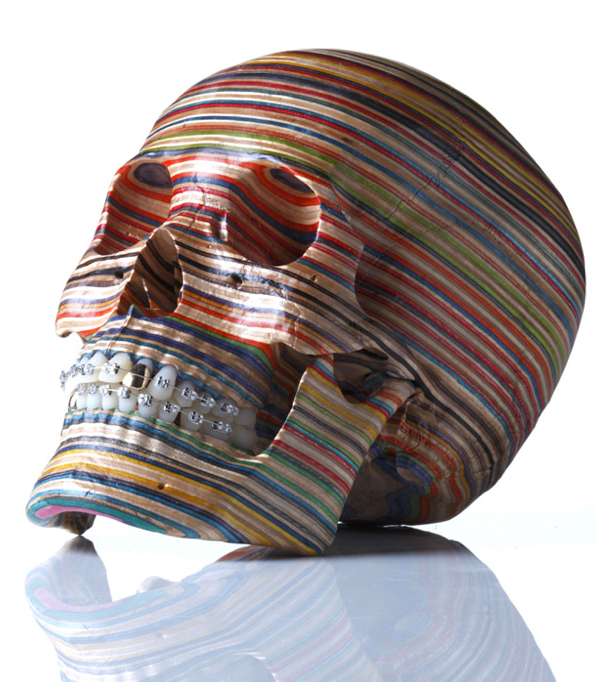 Now, understand his works are created out of recycled skateboard decks, and my man is 100% self taught! Check out more info on Haroshi here. Some of my favorite pieces of his are posted after the jump. 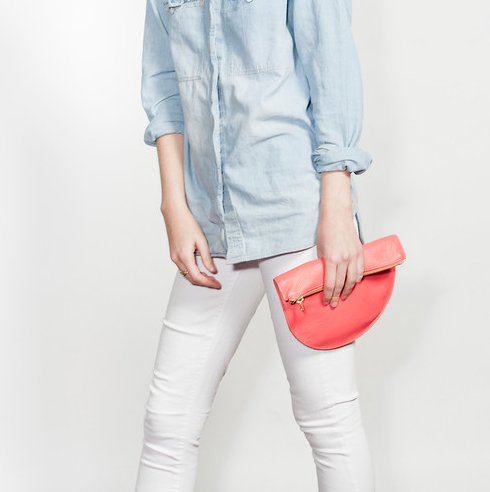 I know they say what goes around comes around - but stone washed paint splattered denim on denim on denim? Didn't see that one coming! 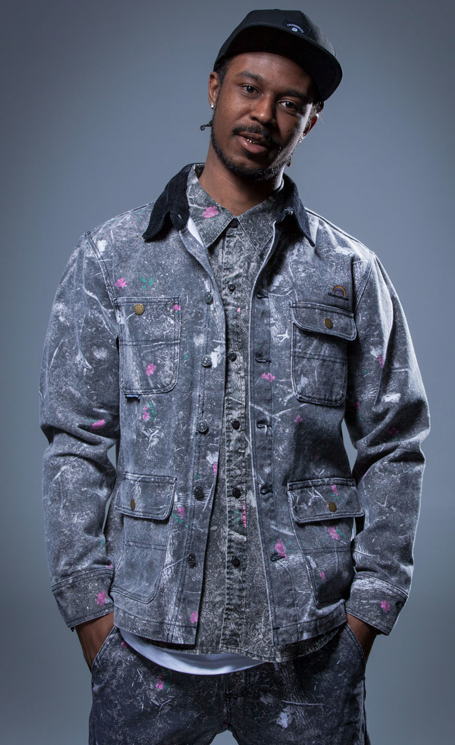 Check out the entirety of The Hundreds 2013 Spring collection here. On their first collaboration project, Oldblue Co met up with Obbi Good Label to create this London leather wallet with brogue detailing and heavyweight denim. Featuring 3 card slots, a hidden sleeve, and a selvaged line coin pouch, the wallet maintains a sleek profile but is still built for daily use. Limited to 20 pieces, act quickly if you're interested! Gallery 1988's latest show, Young Adult, features artwork inspired by your favorite childhood novels. 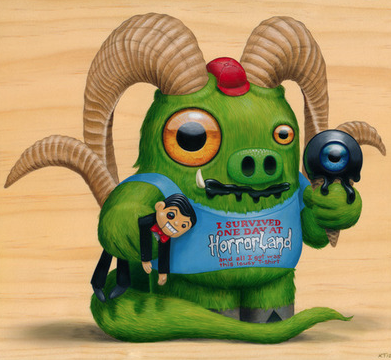 The piece above is by Kristin Tercek and is based on Goosebumps ( and really - who doesn't need more RL Stine in their life). Fitting piece - I just survived "A day in the life of Mikey". What started as an innocent trip out to our favorite Ethiopian spot for lunch, Nyala, turned in to a stop at the opening of the new Angel City brewery, a trip to Little Toyko, and was capped off with catching the Clippers put the hammer down on those hipsters from Portlandia at Staples Center. Show opens this upcoming Saturday, February 2nd, and runs through Feb 23rd. Delayed congrats are in order to ASAP Rocky for getting #1 on the charts with his debut, Long Live ASAP. Upon the first few listens, I'm a fan. 2 of the stand-out tracks, in my opinion, are 1Train, featuring OSTT favorites Danny Brown, Action Bronson, Kendrick Lamar, Joey Badass, among others, and Wild For The Night feat Skrillex (Listen here). With EDM poised to make a big run this year (two of hip hops biggest producers putting out EDM inspired songs/mixtapes, and most notably, Kanye West signing Hudson Mohawke of TNGHT to Very GOOD Beats (the production arm of Good Music)) - I thought this feature was well played - and came out great. 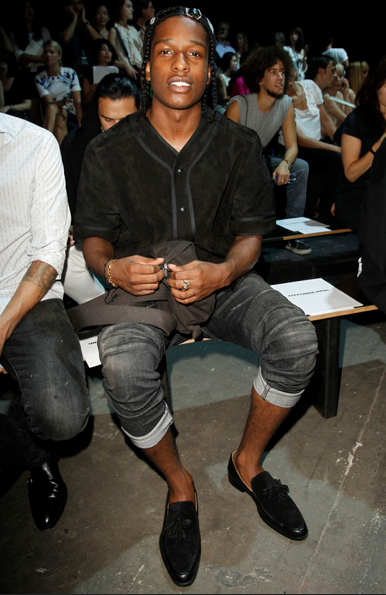 Also - shout out to Rocky for continuously pushing the envelope when it comes to this fashion stuff. More pics after the jump. ALL Knitwear is an American knitwear label specializing in original designs by Annie Larson, a Korean born American raised in Wisconsin. 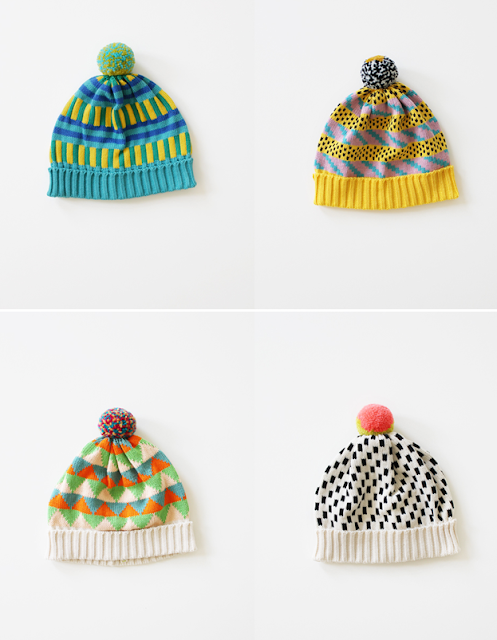 They currently have a pretty sick collection of 80's-esque beanies - which are definitely worth a look. Purchase here. Props to Drew on the find. FILA for the win! 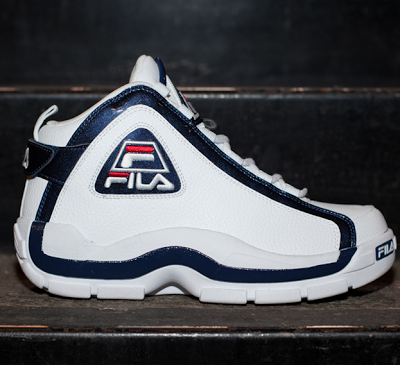 Huge props for re-releasing the Grant Hill II's (now dubbed the 96 as Grant has moved on to greener pastures of Nike). Available at select FILA dealers now (not sure where that is either!). Props to Nice Kicks for the news. More pics after the jump, including one of the most iconic photos featuring the Grant Hill II's to date. Can't front - I'm a fan of Kickstarter. I think its great that inspired minds and creative individuals can crowd source funds to obtain the tools needed to achieve their dreams and create a viable end product, while at the same time - the 'investors' get to share in the fruits of the labor. I've funded a few endeavors in the past - Enclave and Sunski are two of the more recent ones. I rarely see quality menswear products on Kickstarter - but Gustin caught my eye. 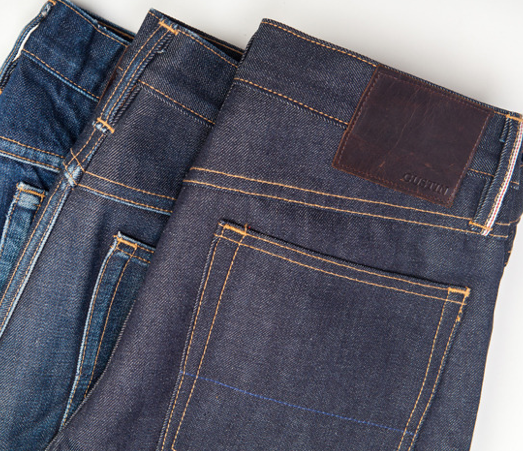 Premium selvage denim made in San Francisco, California (of US products) sold at wholesale prices, direct to the consumer? Worthy of checking out for $81 a pop. Picture above is a pair of their standard denim brand new, 6 months, and 18 months in. Currently - they are offering their signature cut only (straight leg) - but will look to be developing a slim fit in their next production run. Check out more info here, and their Kickstarter video after the jump. 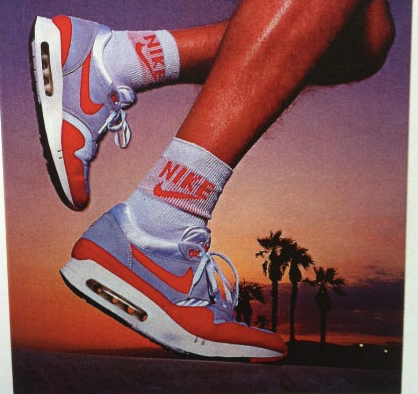 While I no longer claim to be a sneakerhead - I would like to think I still have a pretty good knowledge set when it comes to my favorite shoe - the Nike Air Max 1. That being said - a couple of these facts on the list that Complex compiled were new to me. Check out the list here. 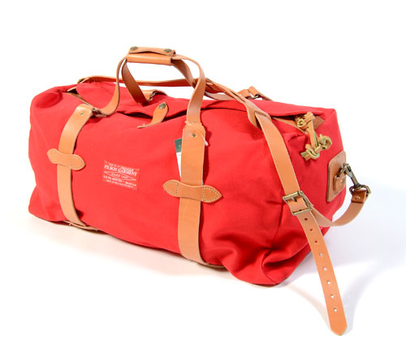 Ok - so the Evacuate duffle from The Hundreds may not be on the same level as the Filson bag featured the other day, but for a price of only $35 this week (50% off through Sunday) - its hard to complain. 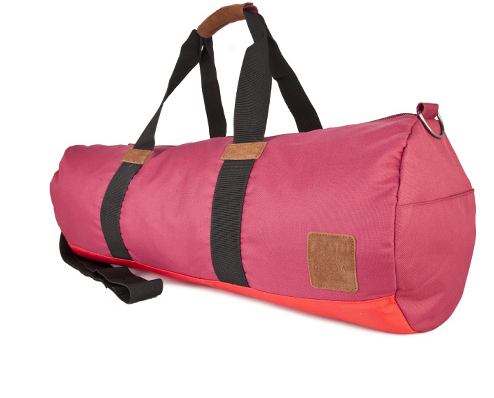 Purchase the foam lined denier bag here, and while you're at it - grab a matching backpack for $30. ONLY NY was probably one of the biggest success stories in 2012 in my eyes, as they really expanded outside of NY and the blogosphere. It looks like they are going to continue to grow beyond their Hat/Shirts/Cut'n'Sew line up in 2013, with focus on some new accessories (bags, pins, socks) in addition to strengthening their current set up. Stay current. 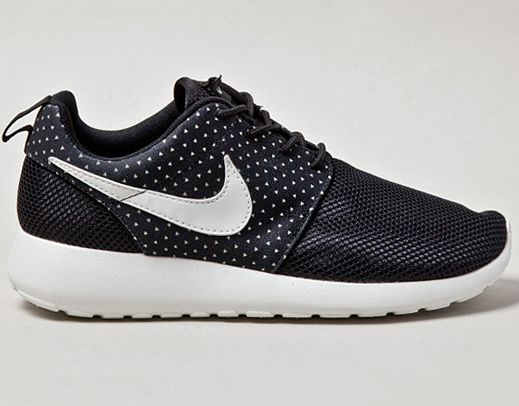 I'm still waiting to find myself a nice pair of Roshe's. 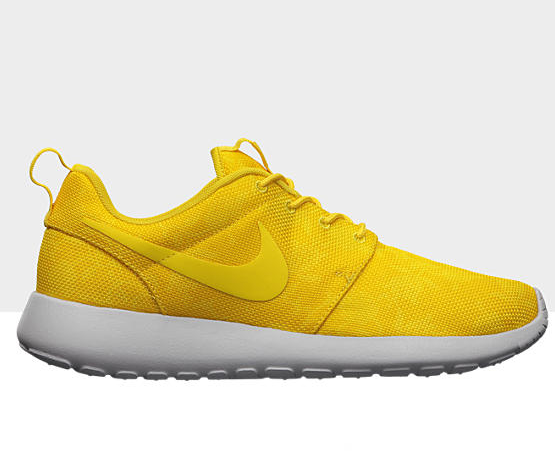 I'm leaning towards the Night Snow's, but the yellow/white model pictured above is pretty smooth. Roshe Run - features a one-piece neoprene mesh upper offering light breathability and one-piece phylon-injected outsole to deliver stability. Its streamlined design without a midsole enhances comfort. Has it really been a year since we listed out our top albums and songs of 2011? Sure doesn't feel like it. After the jump - check the selections for our 2012 Year in Music review, log on to iTunes or Spotify, listen along, and reminisce on the year that was. This medium duffle from Filson Red Label is made from water-repellent heavy duty rugged twill, designed to carry plenty of cargo and built to take a beating. Adjustable removable genuine bridal leather shoulder stap and two top carry handles. Leather strap flap top with hidden brass Filson zip closures. Unlined with two interior pockets. Approximate measurements: 25"L x 14"W x 13"D. Made in USA. Guaranteed for life. 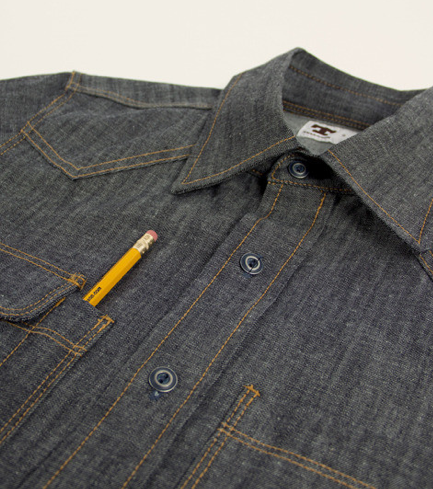 We interrupt your regularly scheduled program (my search for a good denim shirt - part 1 and part 2) with the Spring 2013 look book from The Hundreds. No T's featured in this look book, and to be honest, most of the clothes featured look like they could come from Public Label (I say that in a good way). Also, I really like what they did with the photography for the look book. Check out the process as described by Bobby Hundreds himself below, and check out more from the look book here. The actual effect of what you're seeing isn't Photoshopped. 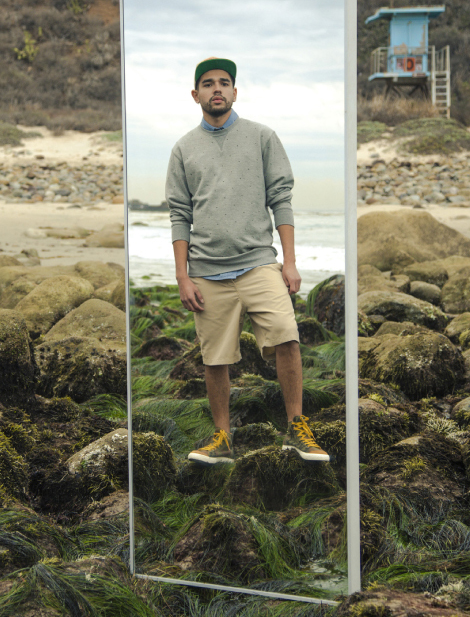 I've had this idea for years to do a photo shoot using mirrors in outside locations, so for our Spring 2013 lookbook, we dragged a full-length mirror around Los Angeles and shot reflections of our models, capturing 2 contrasting environments in a frame to impress a displaced reality. Basically, to get weird. I don't know about you - but back in my younger days - there were certain individuals that oozed coolnees (or swag - as the kids today call it). These are the guys you couldn't help but idolize and want to be like. My list consisted of Zach Morris from Saved by the Bell, Will from the Fresh Prince of Bel-Aire, and my Uncle David. 13 years my elder - my uncle could do no wrong in my eyes. He had the girls, the clothes - what more could you want? Without getting in to details, today marks the 20th anniversary of his untimely death. Aside from visiting the gravesite today - I decided to pay homage by rocking the shirt above - purchased at the world famous Rose Bowl flea market. 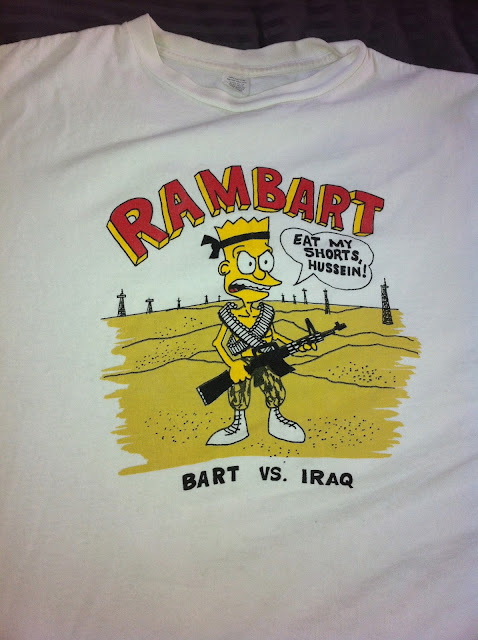 My Uncle fought in the Persian Gulf War, and you know my affinity for vintage Simpsons gear (see links below) - so it just felt right. RIP Unc - you will always be missed. 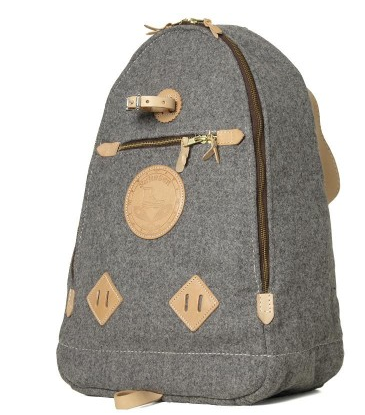 Premium "Heather Grey" wool, natural leather shoulder straps and patch work, along with brass buckles - these backpacks from Yuketen made in the USA scream class and quality. 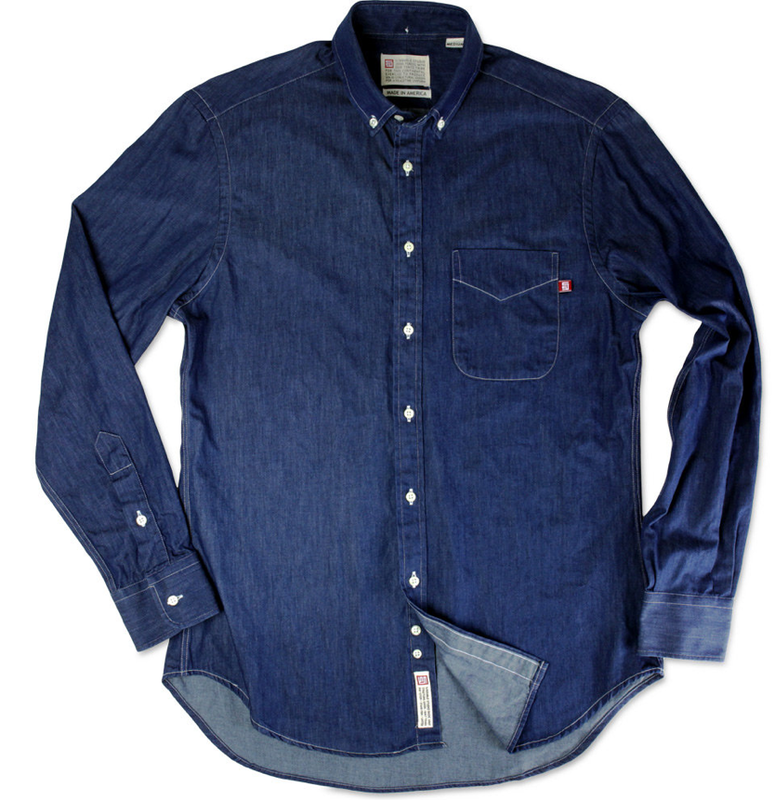 Purchase over at End Clothing and save yourself $95. 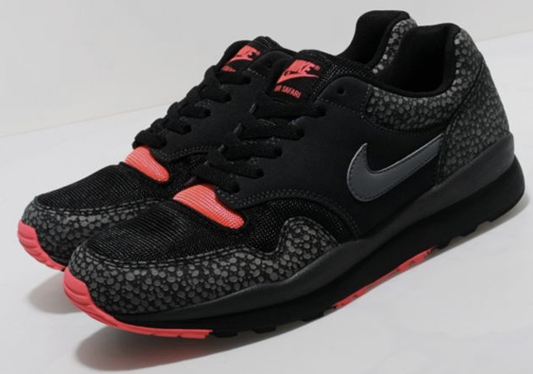 These kicks right here? THESE KICKS RIGHT HERE? These need no words to bump up the hype, they are hype. Black and White colorway with triangular flakes on the mid quarter section - I'm on it. Set to release soon. More pics over at FreshnessMag. Italy for Automobiles. Switzerland for Banks. Pennsylvania for Khakis. Ok, I've never heard that phrase before either, but that's the tagline for Bills Khakis, cut and sewn in the USA (Reading, Pennsylvania to be exact). Check out their website, and you'll see a strong collection of pants in various fits and colors. Flannel lined vintage twill khaki's? Yes sir. I'd stay away from the jeans, but some of the shirts are definitely worth a closer look. 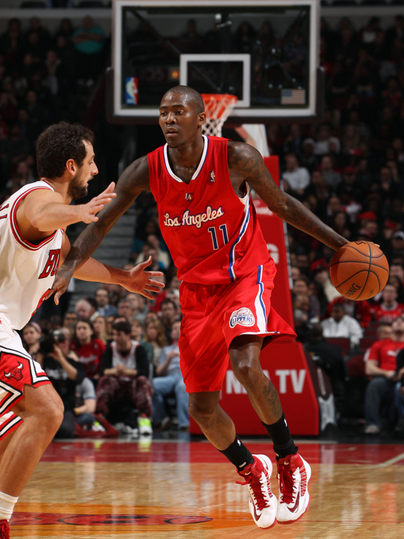 There was a great article in the Daily Breeze on Sunday (yes, I still subscribe to a newspaper, and a local one at that) about how Jamal Crawford obtained the foot injury that kept him out of action for two games last week. Apparently, my man J Cross hurt his feet from wearing an old pair of shoes (the same pair of shoes he's been wearing since training camp)! "I'm superstitious. I wanted to keep the same pair. I wore them at home and on the road. I couldn't really feel them. They were flimsy and dirty. If you looked at them, they looked pretty beat up. So I , think that's what happened, doing a move." When he was kindly reminded that the sneaker companies send players free shoes, free of charge, he responded "It's just a feel. Once they're good, I just hold onto them. I'm a creature of habit." Apparently another habit of JCross is doing people dirty on the court - because on a team full of superstars and athleticism (Blake, CP3, DJ, Ebled aka Mini-Lebron) - Crawford often steals the show for the Clippers to the delight of ClipSet fans everywhere. For a man so humble and reserved, he has one of the flashiest and disrespectful games out there. Absolutely love it. Check out some of Jamal's finer Clipper moments after the jump. 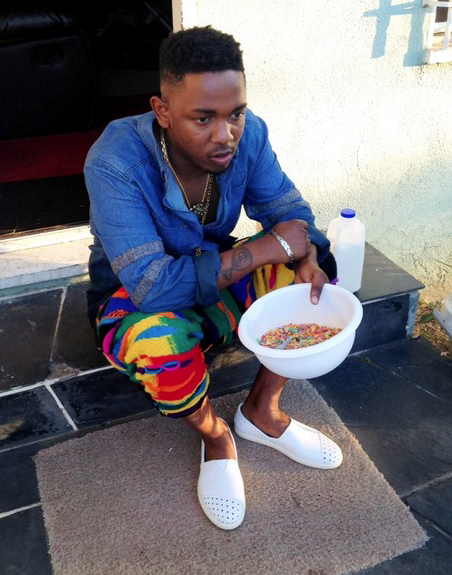 Now that we are a week in and can finally stop starting work emails with 'Happy New Year'- its time to start looking at the 2013 sneaker release dates. 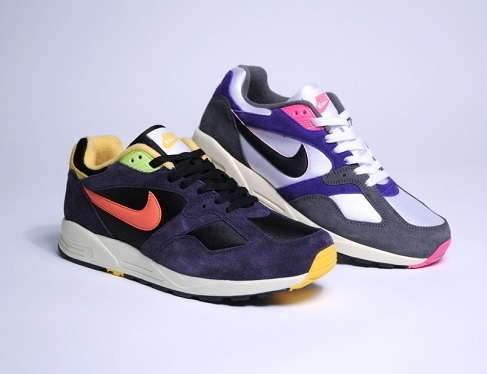 Glad to see that Nike has the Air Base II OG lined up for a retro drop in January! Check out more pics over at Nice Kicks. Sweatshirt or Sweater? 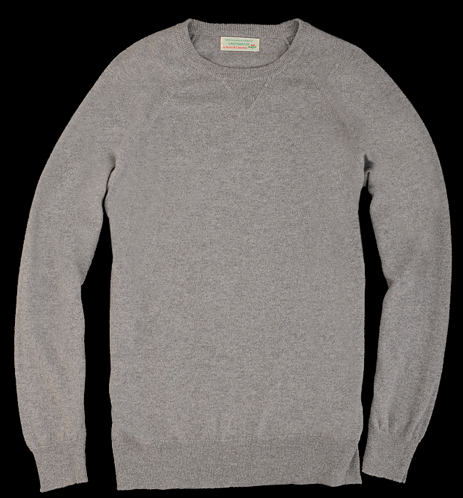 Scott & Charters blur the line with this Cashmere/Cotton blend. 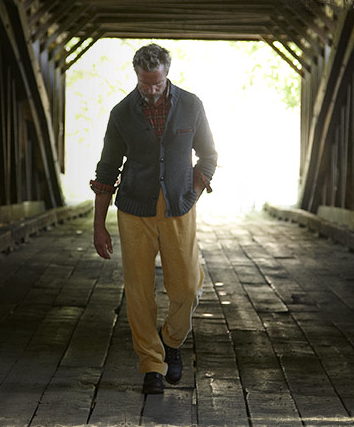 With 55 years in the business focusing on the finest cashmere knitwear - this isn't the Scottish brand's first rodeo. It's a pretty penny, but purchase here. Baggu - the story of how an ex-JCrew designer built an empre (read here), and check out Baggu's online store here. Starting with grocery bags, expanding to bags of various shapes and sizes, including leather purses - this is a great success story. I ordered over 10 of their zipper bags, and they are great for travel (put my running shoes in a large bag, Nike GPS watch/iPod/Running sunglasses in medium, toiliteries in a small bag, and I'm good to go!) Check out some of the designs below, and purchase here. 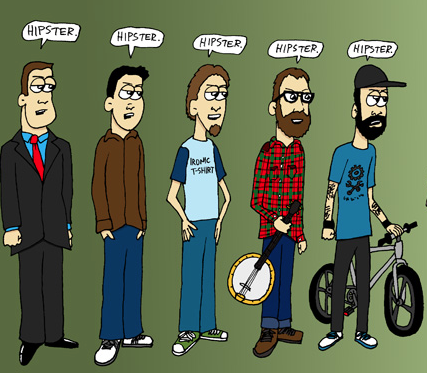 I think this question gets asked a lot - what exactly is a Hipster? How do you define it? Is it the same as scenester? A cool guy? Is it a term of endearment, a label of contempt? Dustinland did a great job with his "Theory of Hipster Relativity" - which basically concludes that there is no such thing as a hipster, rather, its a relative term, and can truly only exist in comparison. I copied an excerpt from his comic above, but check out the entire piece after the jump. Also, support Dustinland and download his new iPhone app, Build-A-Hipster. Independently owned UK menswear boutique, The Buttery Store, put together a lookbook featuring this season's collection from the brands they carry. Pretty elaborate shoot out at Southend Essex resulted in some great photo's. Check out their entire shoot here. 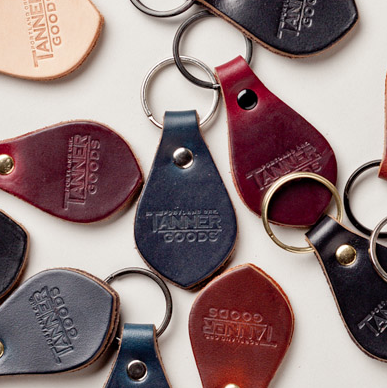 Faler Brand is leather brand based out of Ohio that focuses on producing hand-made accessories. I like what I've seen so far with respect to their products. 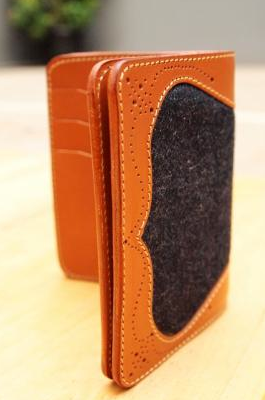 Pictured above is the Herman Oak Wallet, featuring 5 slots and a coin pouch - which you rarely see on men's wallet's now a days. 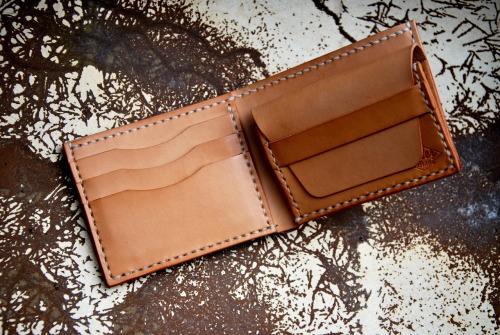 The wallet is raw leather with slight distressing from a light sun-tanning and foot oil. Check out their TUMBLR for more pics and info - and don't sleep on their Herman Oak mid with the pearl button! 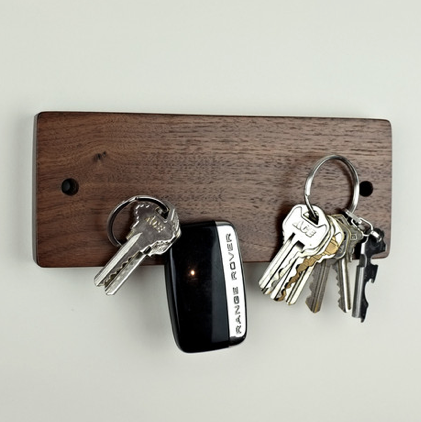 A little something to keep your house fresh and organized to start off 2013 - fully magnetized board, handmade in California, to be used as a key valet. No need for your keys to get lost in your bowl of other accessories, and no need for pesky nails. Purchase here.